Considered one of the industry's strongest advertising platforms for Angus producers who seek to make headway into the commercial market, the Angus Beef Bulletin reaches nearly 65,000 cattlemen nationwide. 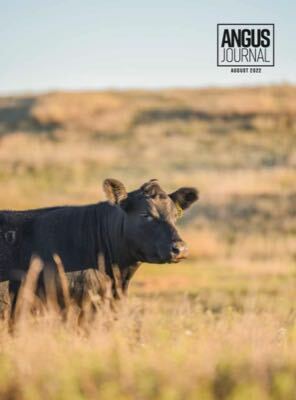 Newly redesigned, the Angus Beef Bulletin is one of the industry's largest-circulated publications, but on a cost-per-thousand basis, it's one of the most affordable advertising opportunities in the business. The magazine is one of the best ways to expand your market exposure to commercial producers across the country who are highly active in the Angus business. This fall, we reorganized our editorial team to provide greater focus on each of our respective audiences — seedstock and commercial. Directed to our commercial cattlemen, the Angus Beef Bulletin is currently published five times a year. We plan to increase its frequency. In the meantime, we also offer the Angus Beef Bulletin EXTRA as a monthly digital supplement. The team produces original stories on cattle management, health, nutrition, marketing, Association programs and trending industry topics. Have a great story in mind? Share it with our communications team.